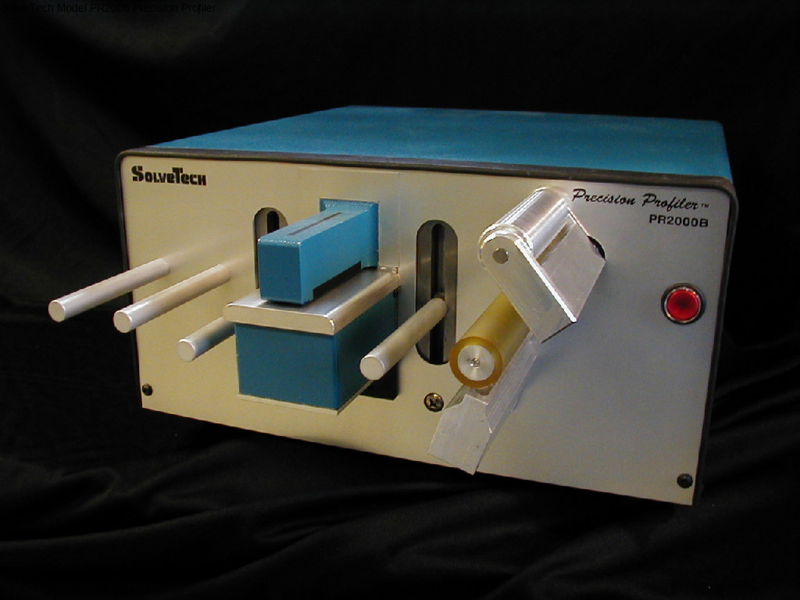 SolveTech’s thickness gauging technology can be calibrated to measure the thickness or basis weight of paper and coatings on paper. The technology is highly accurate and does not contain any nuclear or x-ray hazards. 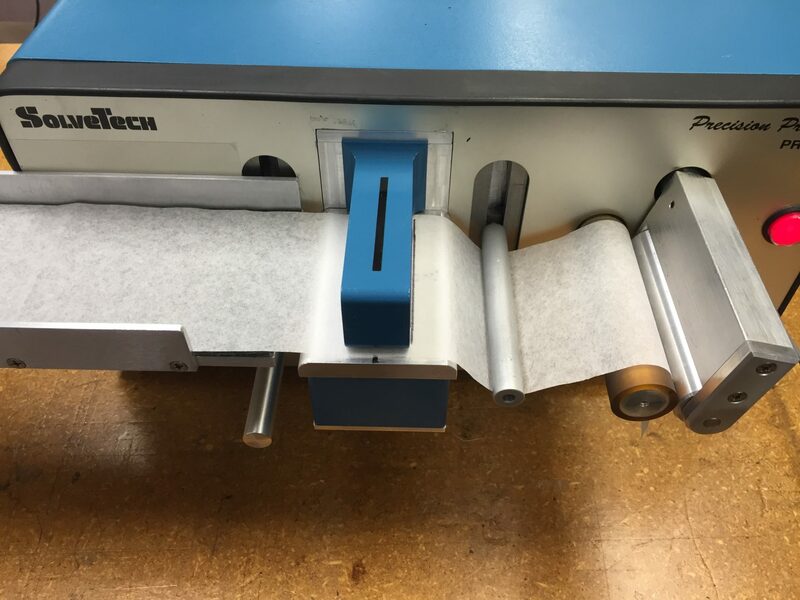 SolveTech’s proprietary capacitance based technology measures paper uniformity with higher accuracy and repeatability than anything else on the market. 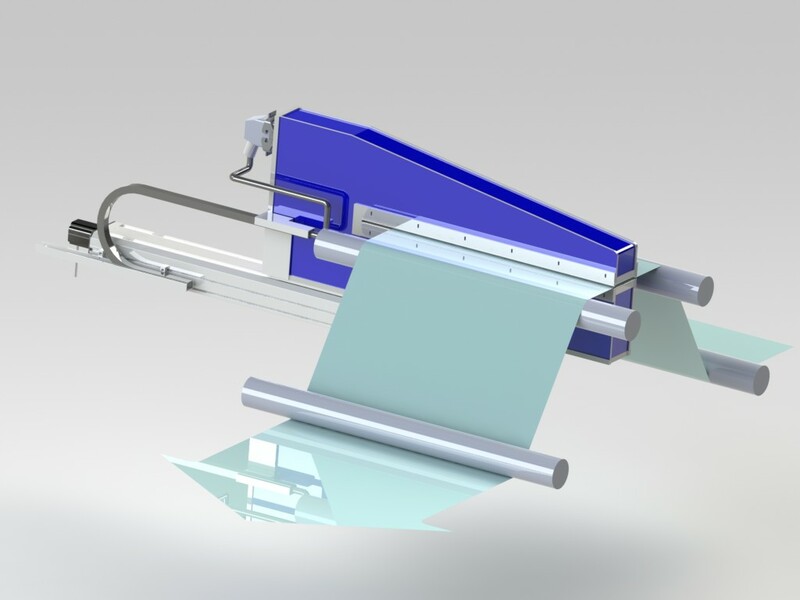 We offer both on line and off line systems for measuring the thickness/basis weight of paper and coatings on paper. Measures without contacting the paper or adhesive. Profile a strip of paper to see the uniformity of the material in the cross web or down web direction. This unit delivers the highest level of accuracy and repeatability on the market. 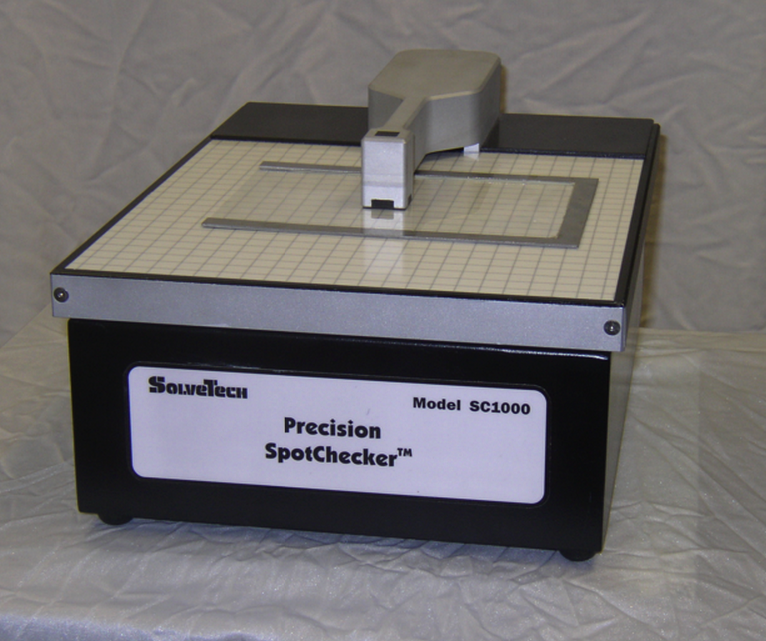 The SC1000 is great for inspecting a sheet of paper. 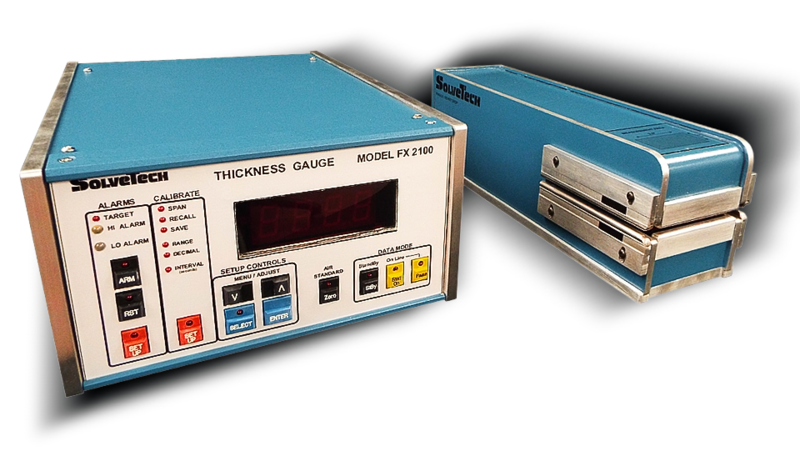 Simply place the material under the gauge head and get a reading of thickness or basis weight. The MultiChannel Array Gauge measures paper like nothing else on the market. Great for webs less than 60 inches wide. This paper thickness gauge can be calibrated to measure paper weight or thickness depending on the user specification. Channels placement and geometry is customizable. A great tool for a R&D lab! The FX2100 allows you to check a single spot on your web. Great for a reference and machine direction gauging. Sizes and footprints are customizable. 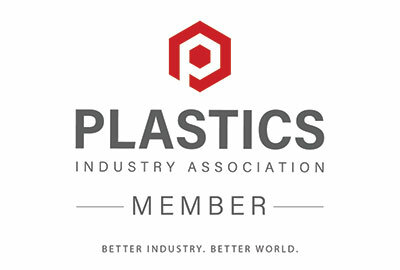 Contact us today to have a technical discussion regarding paper thickness and basis weight gauging. We can help make sure a coating is applied uniformly to your paper, as well as show you your paper weight uniformity in the cross web and down web direction.